First he saved Broadway, then he saved his neighborhood watering hole. Lin-Manuel Miranda, creator of the Broadway smash hit "Hamilton," stepped in to help broker a deal to keep the Washington Heights pub Coogan's open. The Irish Bar and restaurant posted the happy news on its Facebook page Saturday, just days after announcing it would close because of a rent hike. "With strong community support and hard work by our elected officials and intervention by the Miranda family the landlord has been moved and handshakes have been done," the restaurant wrote, along with photos that include a smiling Miranda and his father. Miranda tweeted photos of a news report of the bar opening along with other photos, saying "Went to Coogan’s to celebrate." 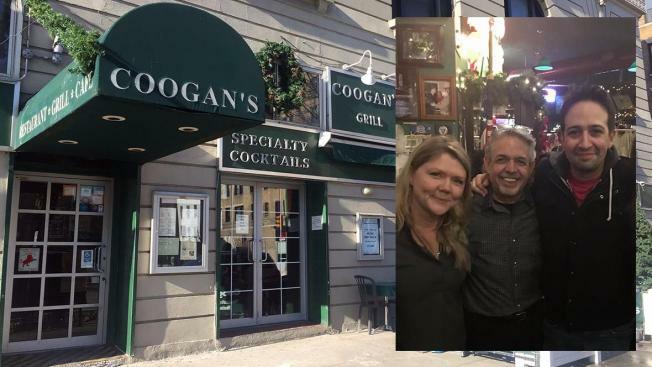 Coogan’s became a community stalwart and haven for runners of all paces over the last three decades. 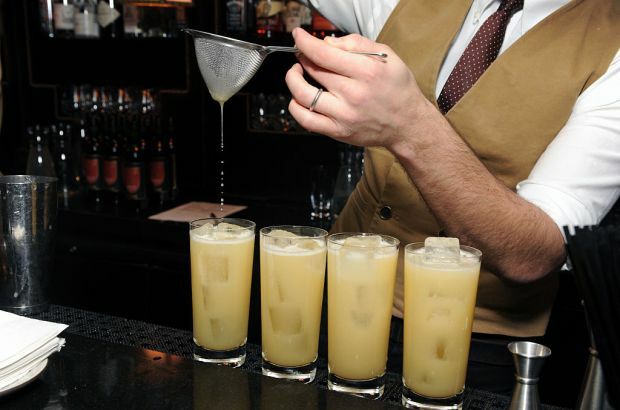 The bar opened in 1985 when Washington Heights -- and the city at large -- was a seedier place. But it quickly became a hub for firefighters, cops, doctors and nurses who worked at NewYork-Presbyterian Hospital and the diverse Washington Heights community. The bar, just down the street from New York Road Runners’ Armory indoor track and field facility, also bills itself as “America’s No. 1 runner’s restaurant.” Coogan’s said runners from Olympic 100m gold medalist Carl Lewis to weekend warriors training for its yearly Salsa, Blues and Shamrocks 5k race (which has been on the New York Road Runner’s yearly calendar since 2013) have filled the bar on a regular basis. “It is commonplace to see the world’s greatest athletes and Olympians hoisting a brew or chowing down while the owners ask about their families,” the bar said. Other famous patrons of the bar include former Vice President Al Gore, former Secretary of State Hillary Clinton and singer Alicia Keys. Coogan's landlord, NewYork-Presbyterian Hospital, had told its owners it would be increasing its monthly rent by $40,0000. Two New York City staples recently announced their closures: Langan’s, a beloved Irish pub in Times Square; and the Greenwich Village dive bar Grassroots Tavern. Both bars cited rising rents.